Gas Oil is often referred to as Agricultural Diesel, Marked Gas Oil, Green Diesel, 35 second oil or even Home Heating Oil. Gas Oil is “marked” with green dye, hence the common name Green Diesel, the dye is applied for customs markings to distinguish it from Road Diesel (DERV) and it is illegal to use Gas Oil to fuel an on road vehicle. Sulphur Free Gas Oil (SFGO), which is also referred to as Gas 10, has a much lower sulphur level than standard Gas Oil (Gas 1000). It is often called Gas10 as it has only 10 parts sulphur per million. It is dyed green in the same way as standard marked gas oil, meaning it is illegal to use as a fuel for on road vehicles. Sulphur Free Agricultural Diesel is better for the environment due to the low sulphur content. Sulphur Free Marked Gas Oil is designed for the latest John Deere, Case New Holland (CNH), Cat & ARGO engines. 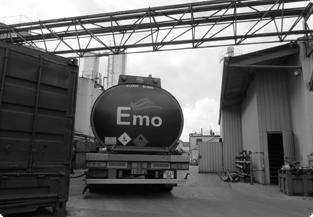 Emo Oil is one of the leading suppliers of fuels to the agricultural and farming sectors. Our dedicated farm team based in Portlaoise are on hand to fulfil your requirements. 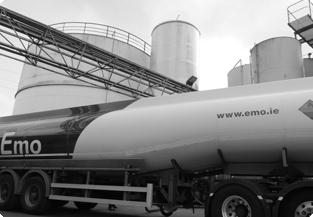 We supply a wide range of products including agricultural Diesel (Green Diesel), Kerosene, Unleaded Petrol, Road Diesel (DERV) and fuel oils. For an express Agricultural Diesel quotation, please select your product type, quantity and location from our Express Quotation Engine or alternatively contact Anita by clicking on the team member icon on the right-hand side.